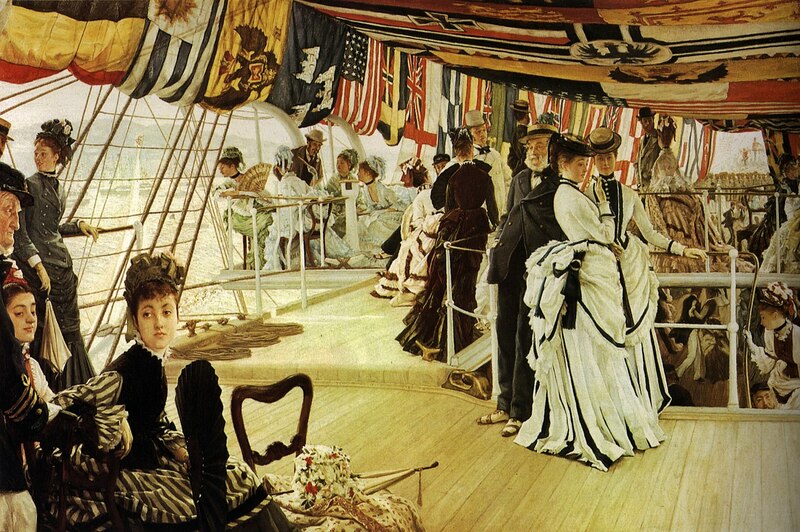 James Tissot exhibited The Ball on Shipboard at the Royal Academy in London from May through August 1874, three years after he had left Paris following the aftermath of the Franco-Prussian War. 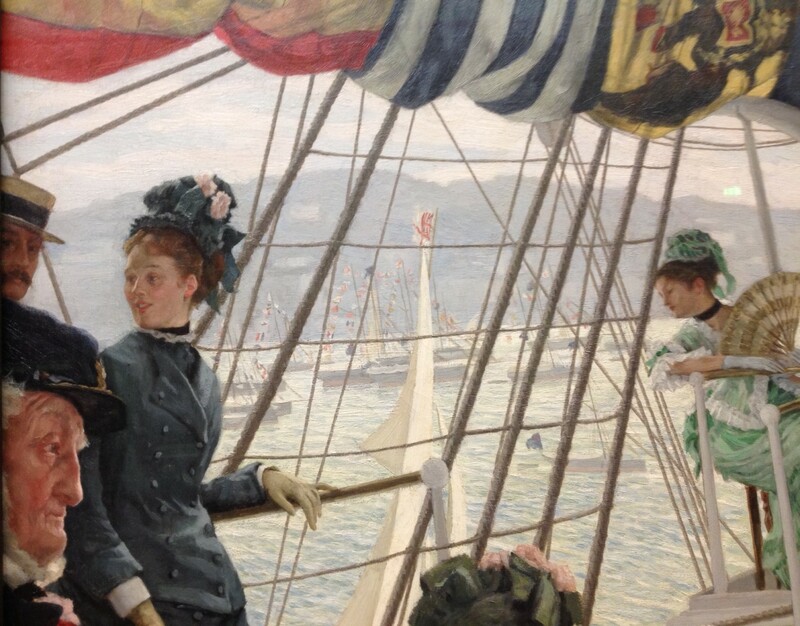 Reviewers (but interestingly, not Tissot himself) identified the setting as the yearly regatta at Cowes, on the Isle of Wight. 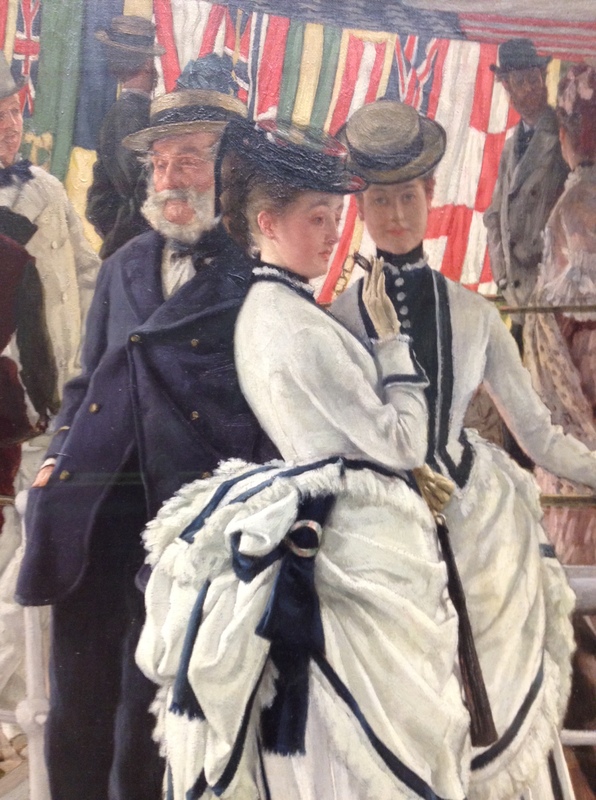 Tissot assured Berthe Morisot, who was at Cowes during regatta week the following year while on her honeymoon with Édouard Manet’s brother, Eugène, that they saw the most fashionable society in England. 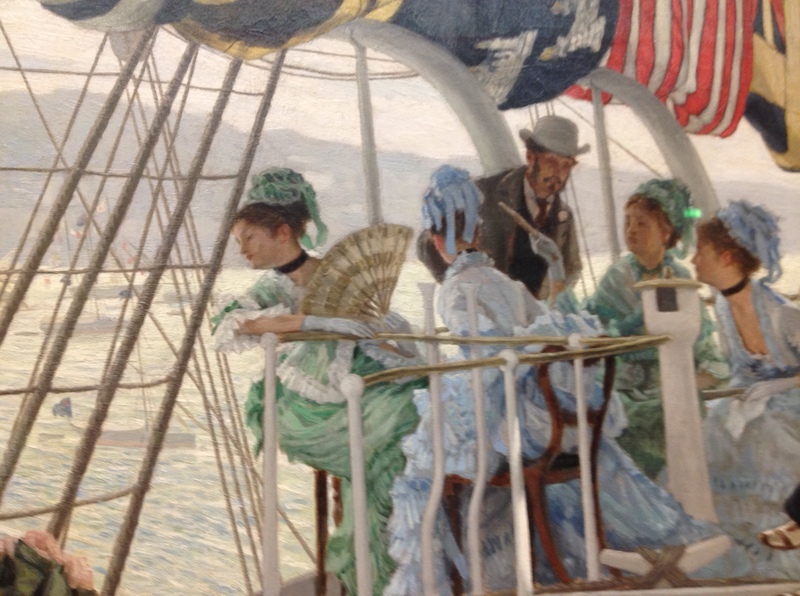 But one critic of The Ball on Shipboard wrote, “The girls who are spread about in every attitude are evidently the ‘high life below stairs’ of the port, who have borrowed their mistresses’ dresses for the nonce,” and another objected to the unseemly amount of cleavage revealed by the women wearing the blue and green day dresses (left of center). 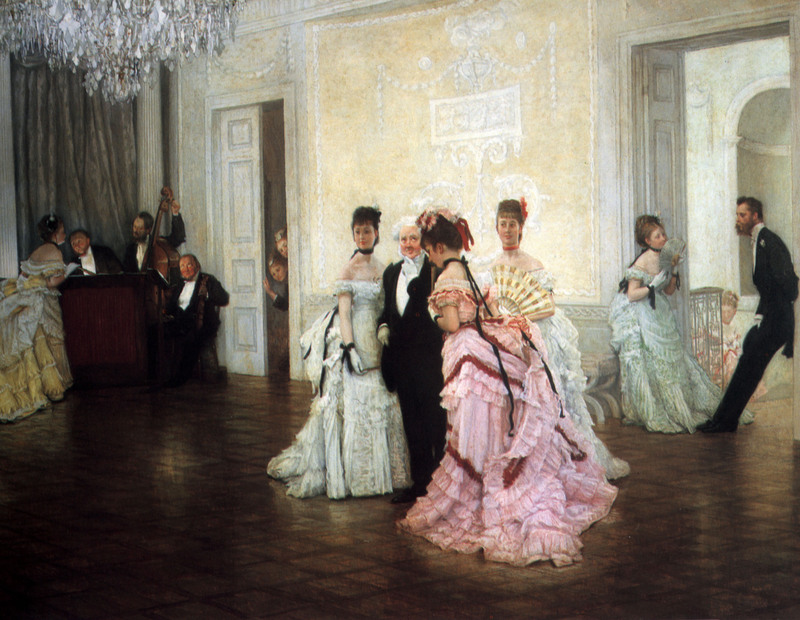 Regardless, London art dealer William Agnew (1825 – 1910) – who specialized in “high-class modern paintings” – purchased The Ball on Shipboard from Tissot that year. 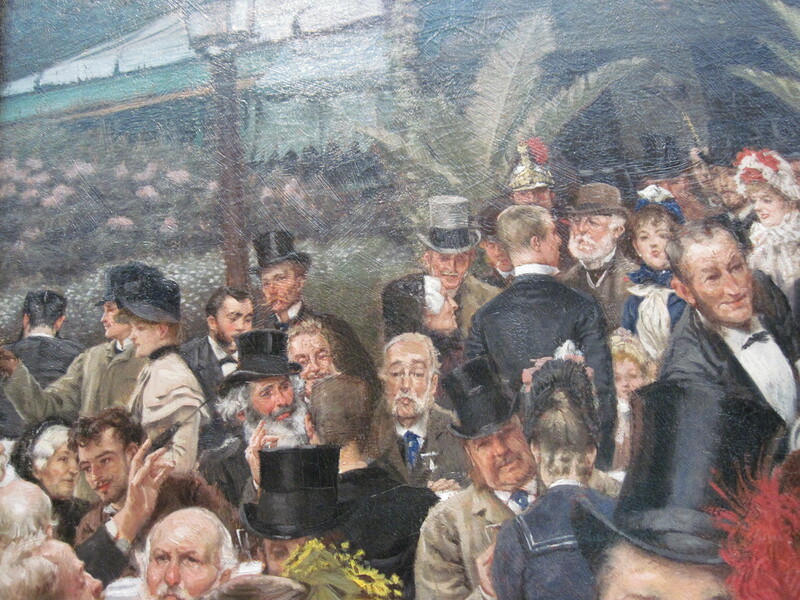 William Agnew immediately sold The Ball on Shipboard to Hilton Philipson (1834 – 1904), a solicitor and colliery owner living at Tynemouth. 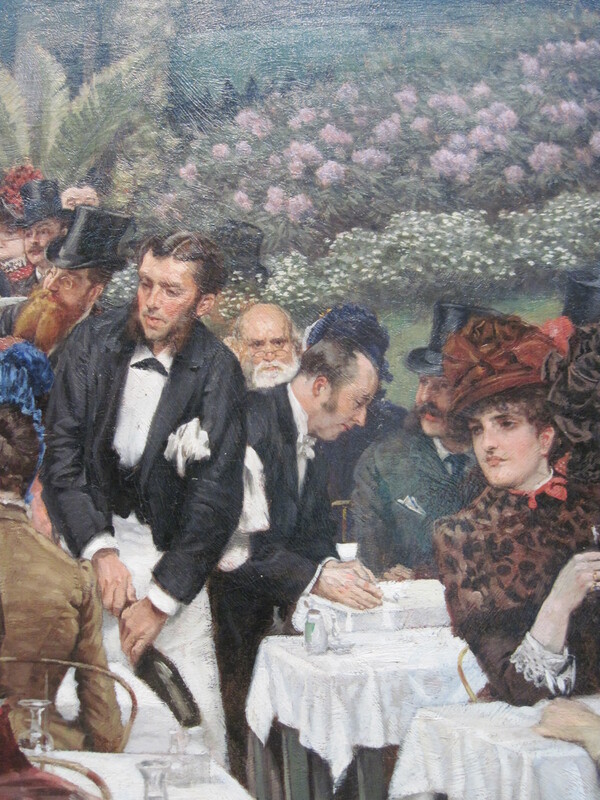 (Philipson also spent 620 guineas at Agnew’s for John Everett Millais’ 1874 painting, The Picture of Health, a portrait of Millais’ daughter, Alice (later Mrs. Charles Stuart Wortley). 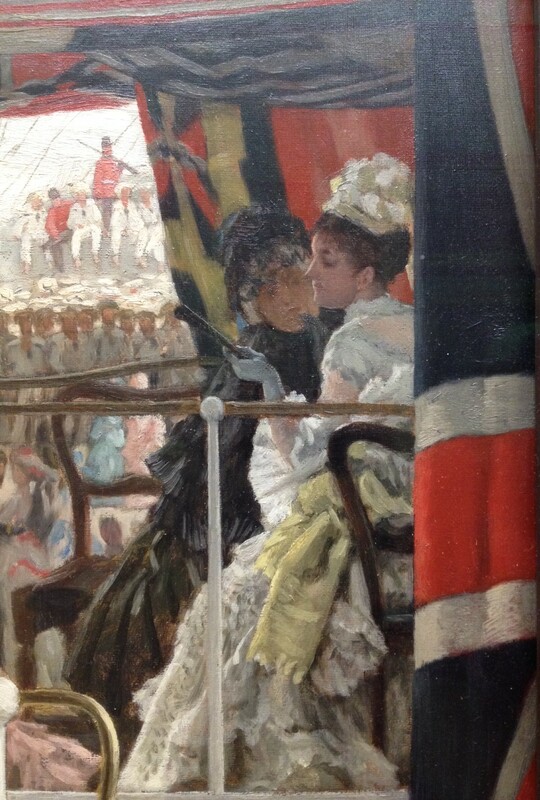 The Ball on Shipboard later belonged to Philipson’s son’s widow, Mrs. Roland Philipson (c. 1866 – 1945), then the Leicester Galleries, London, and by 1937, to Alfred Munnings (1878 – 1959), a self-taught equine painter who loathed Modernism and revered artists such as James Tissot, for their pictures that aimed “to fill a man’s soul with admiration and sheer joy, not to bewilder him and daze him.” (Summer in February, a film released in 2013 based on Jonathan Smith’s 1995 novel and starring Dominic Cooper, Dan Stevens and Emily Browning, dramatizes the love triangle between the young Alfred Munnings, his friend, and the woman they both loved.) 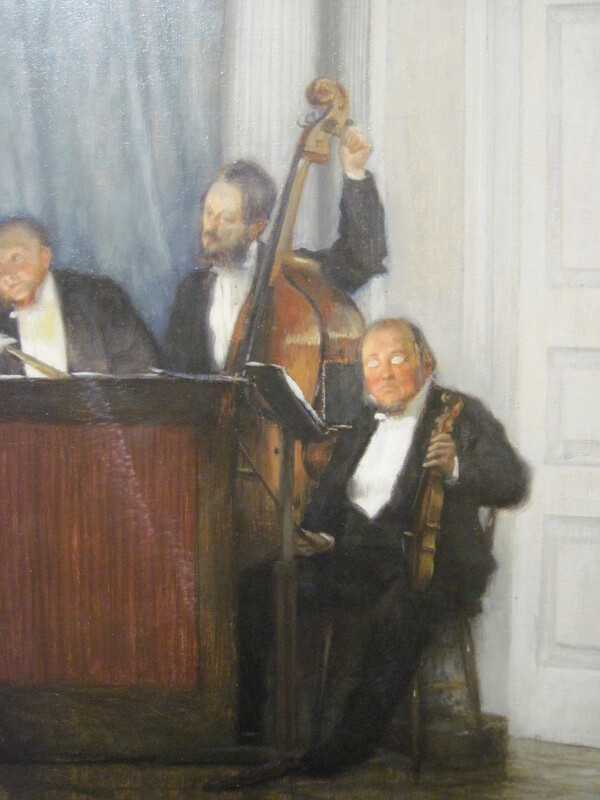 Munnings was elected a Royal Academician in 1925, and The Ball on Shipboard was presented to the Tate by the Trustees of the Chantrey Bequest in 1937. 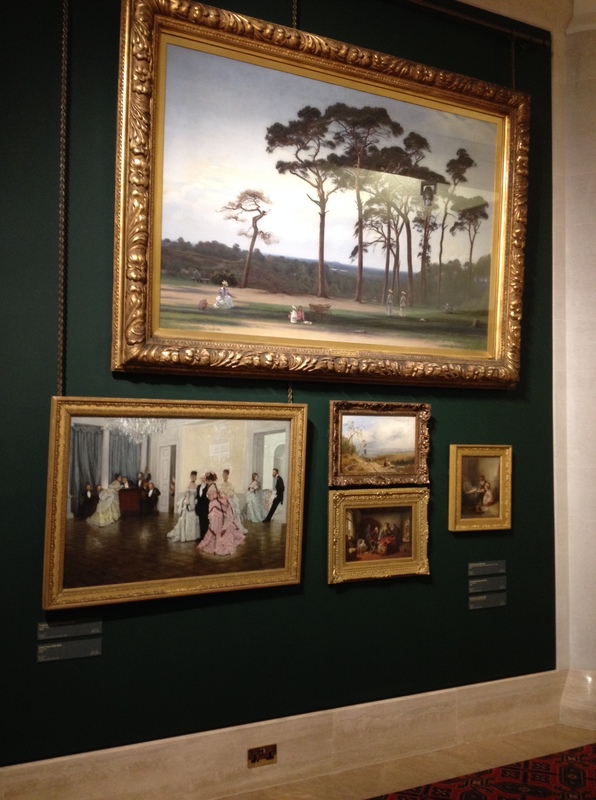 The painting currently is on display in Room 1840, and I took these photos when I recently visited London. 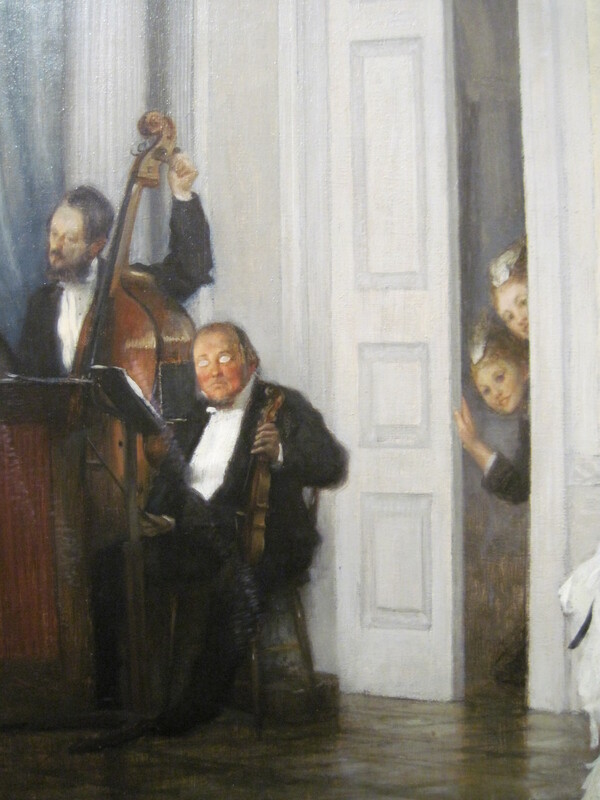 Take my new Buzzfeed Personality Quiz: Which Female Victorian Artist Are You? 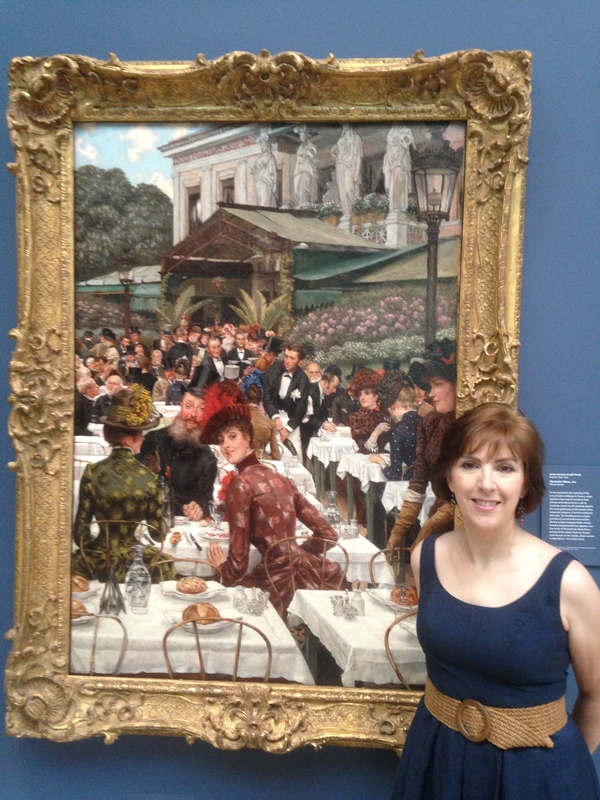 This entry was posted in Art blog, Art History, Impressionists and tagged James Tissot on December 29, 2014 by Lucy Paquette, author of The Hammock: A novel based on the true story of French painter James Tissot. 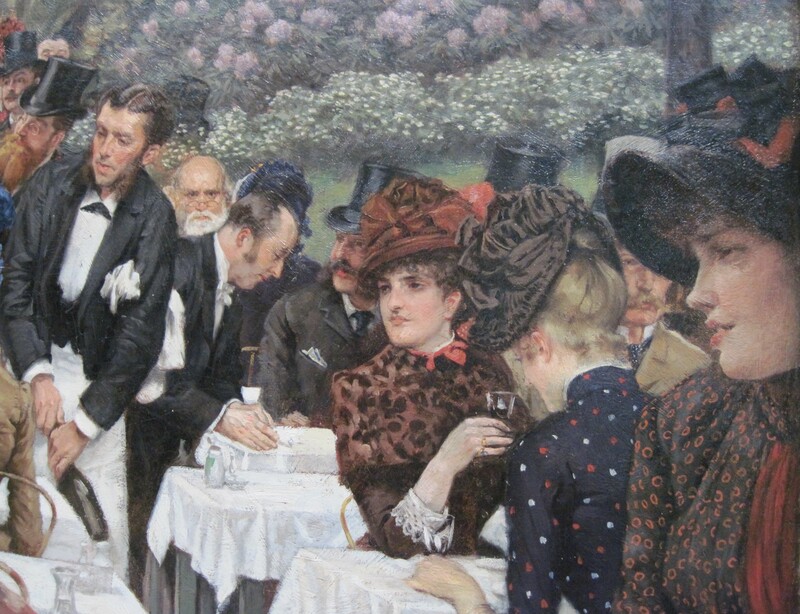 The Artists’ Wives (1885, also called The Artists’ Ladies) depicts a gathering of artists and their wives on Varnishing Day, the evening before the official opening of the Salon, the annual art exhibition in Paris at the Palais de l’Industrie. 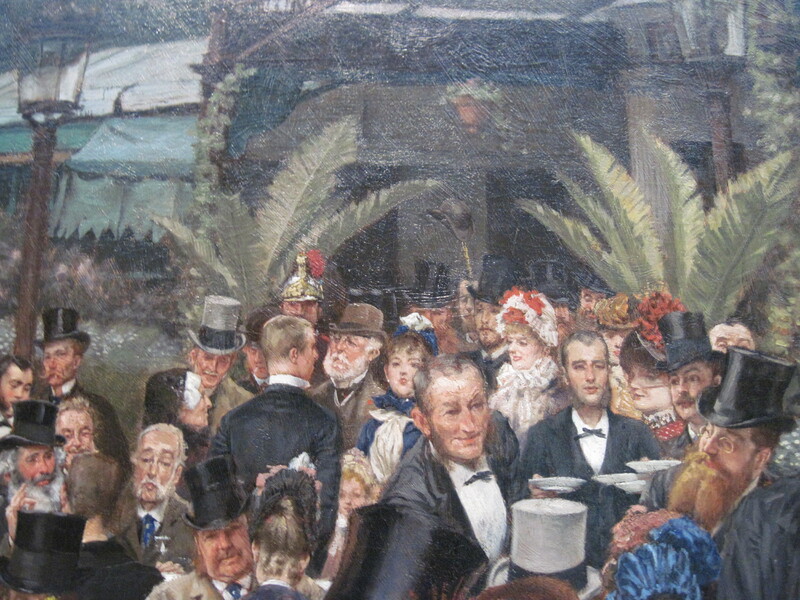 The artists could put a final coat of protective varnish on their work, and they and their wives and friends could view the exhibition privately, when “the great effort of the year is over, and when our pictures are safely hung, and are inviting the critics to do their worst and the buyers to do their best!” Tissot depicts the celebratory luncheon on the terrace of the restaurant Le Doyen, with the entrance to the Palais de l’Industrie in the background. 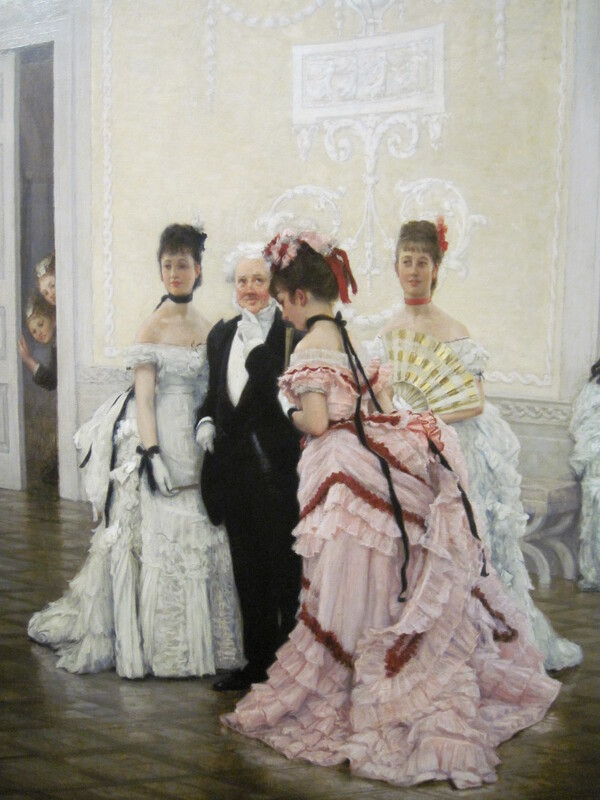 Tissot displayed The Artists’ Wives at the Galerie Sedelmeyer in Paris in 1885, in a set of fifteen paintings called La Femme à Paris (The Parisian Woman). 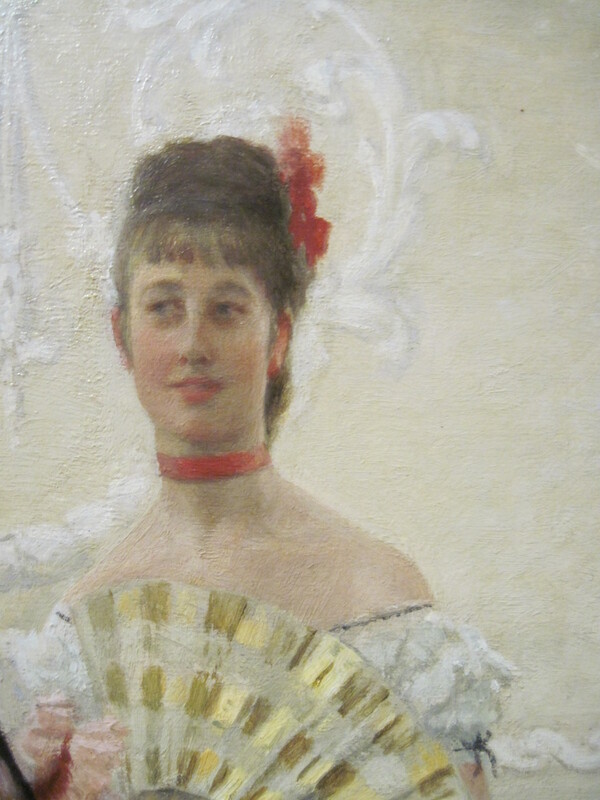 The series was also exhibited in London, at the Tooth Gallery, in 1886. 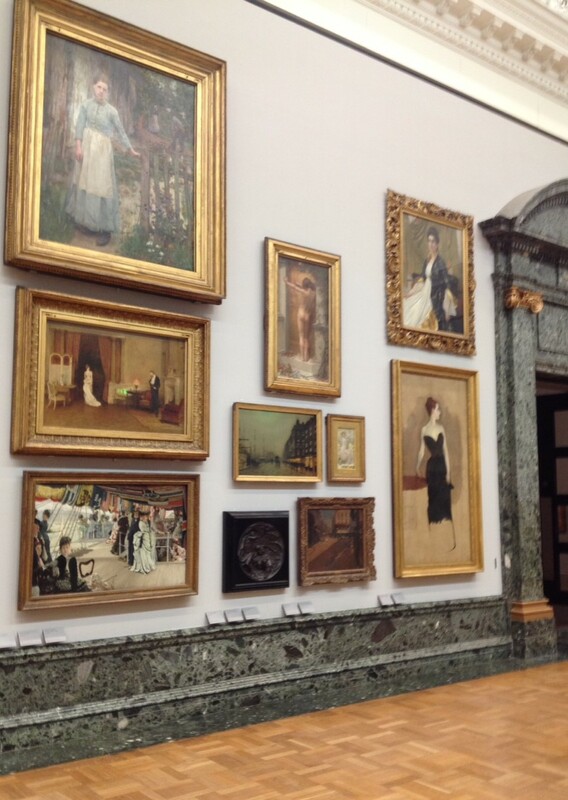 In 1889, The Artists’ Wives was sold at Christie’s, London. 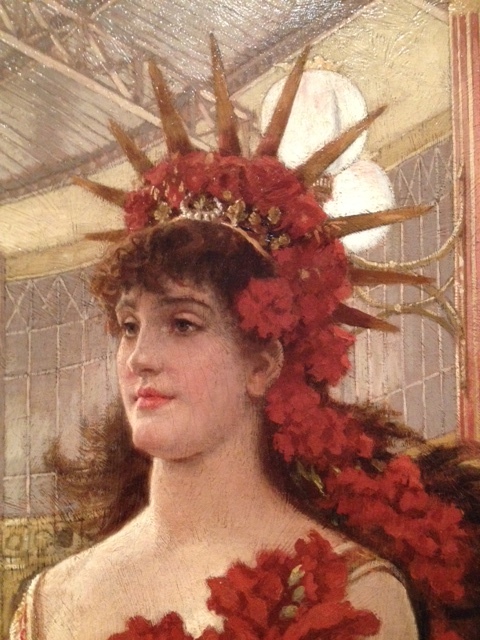 It belonged to a Mr. Day, then to Philadelphia art dealer and critic Charles Field Haseltine. 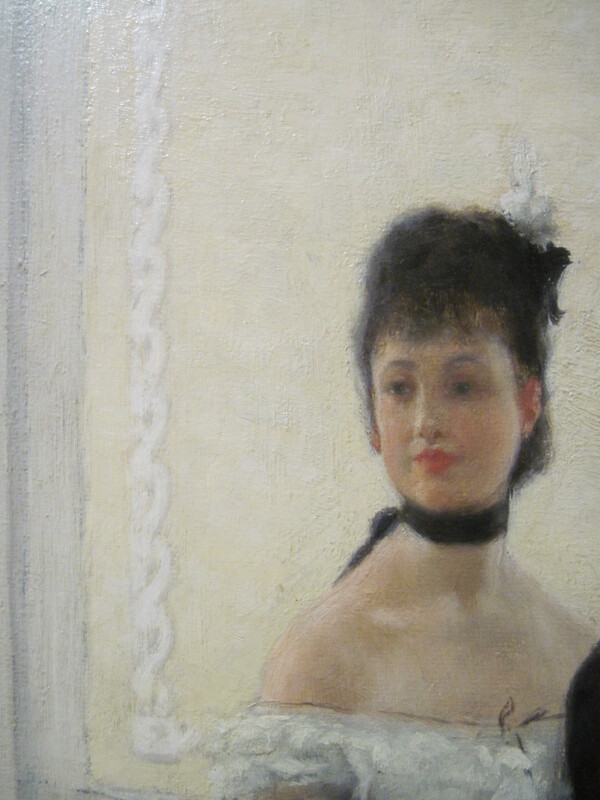 By 1894, it was with the Art Association of the Union League of Philadelphia, and by 1981, it was with M. Knoedler and Co. in New York. 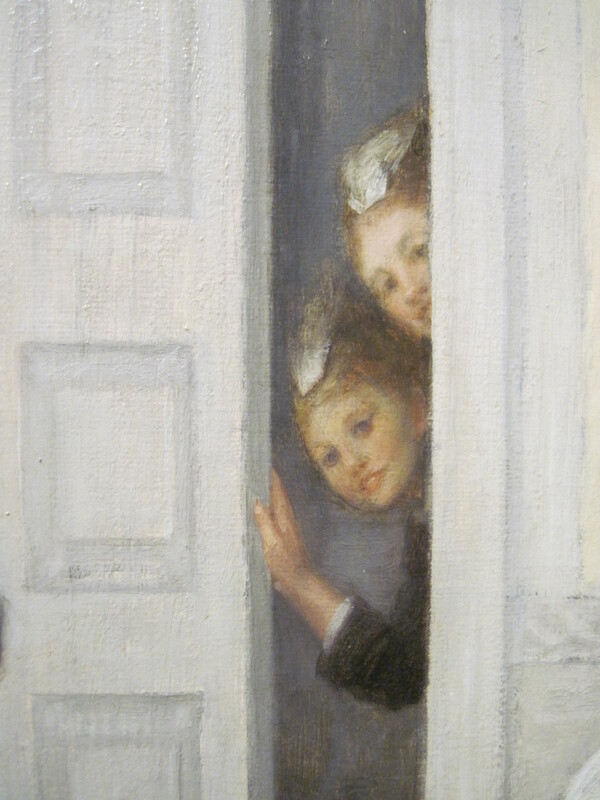 The Artists’ Wives was a gift of Walter P. Chrysler, Jr., and The Grandy Fund, Landmark Communications Fund, and “An Affair to Remember” to the Chrysler Museum of Art in Norfolk, Virginia, in 1981. 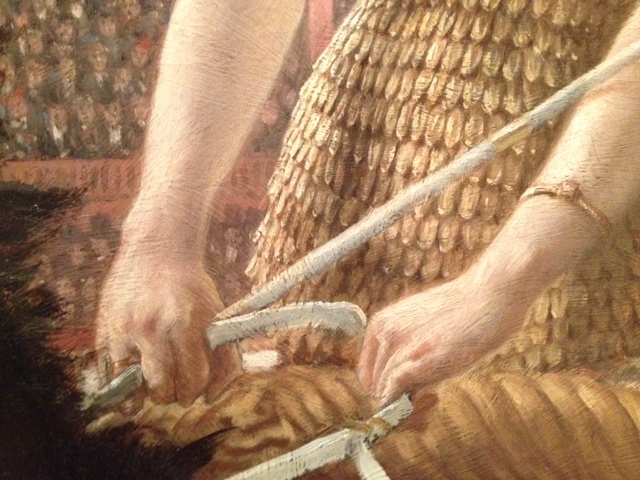 There is a lot going on in this painting, so here are some close-up photos I took. 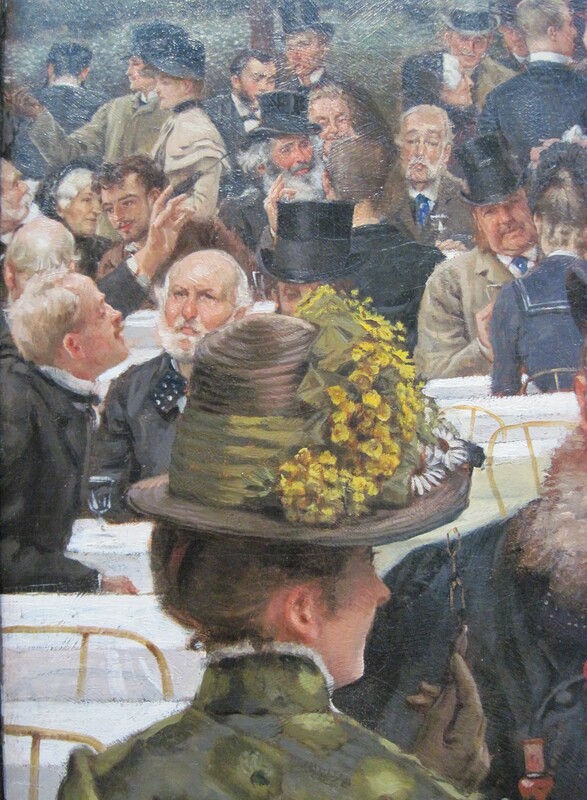 This entry was posted in Art blog, Art History, Impressionists and tagged James Tissot on December 18, 2014 by Lucy Paquette, author of The Hammock: A novel based on the true story of French painter James Tissot. 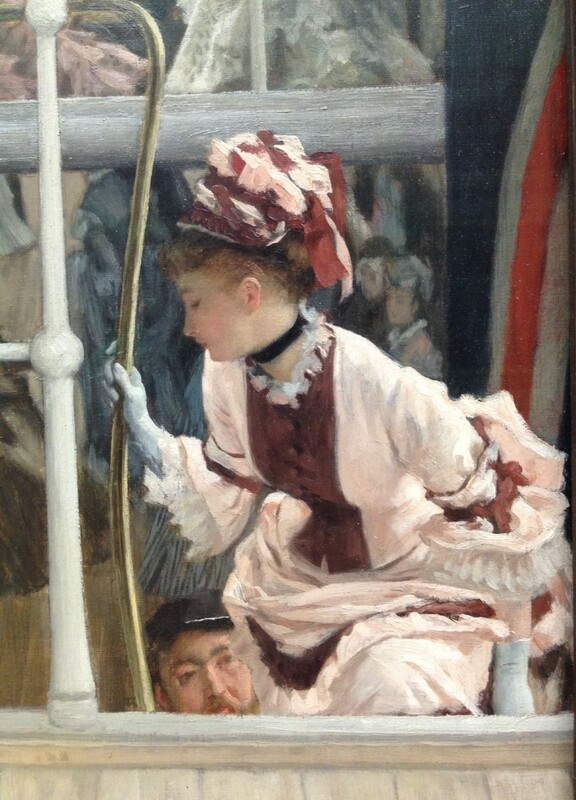 James Tissot exhibited Too Early at the Royal Academy in 1873, where it was his first big success after moving to London from Paris two years previously. 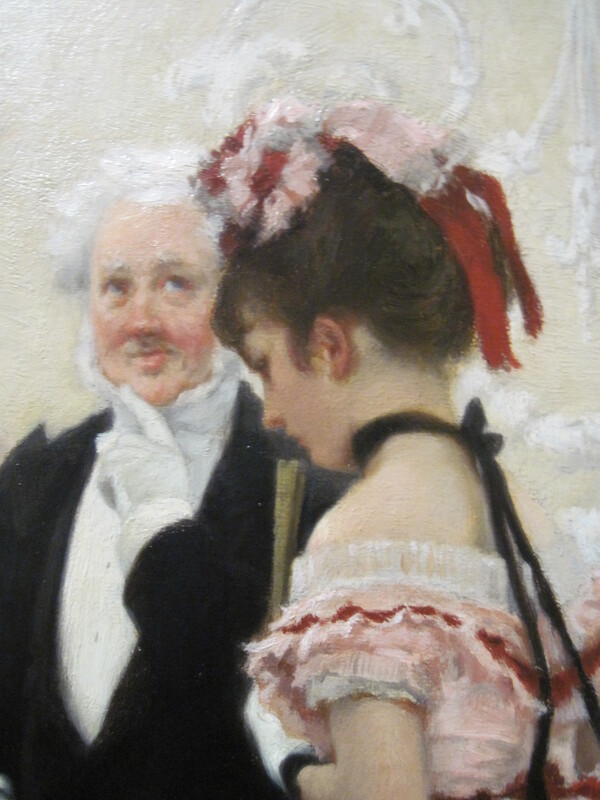 Too Early was purchased by London art dealer William Agnew (1825 – 1910) – who specialized in “high-class modern paintings” – and sold in March, 1873 (before its exhibition at the Royal Academy that year) to Charles Gassiot for £1,155. 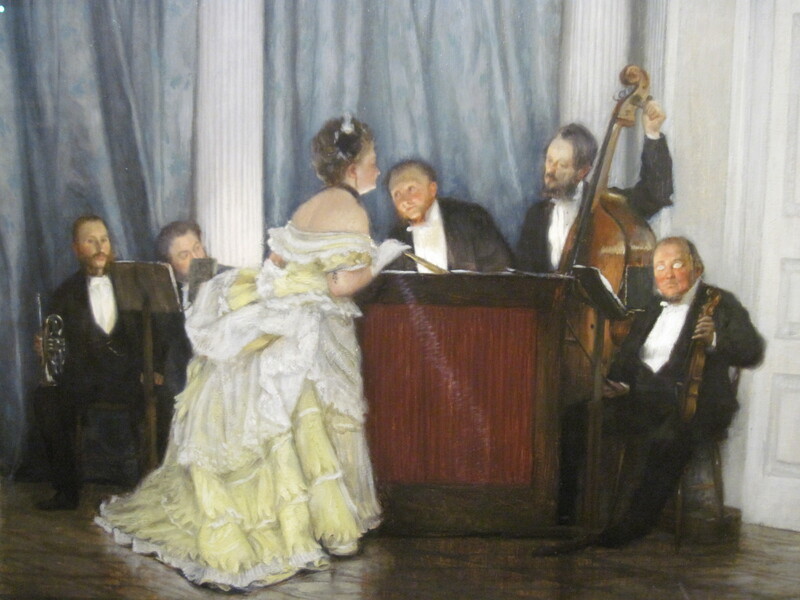 Gassiot (1826 – 1902) was a London wine merchant and art patron who, with his wife Georgiana, donated a number of his paintings to the Guildhall Art Gallery, London from 1895 to 1902. 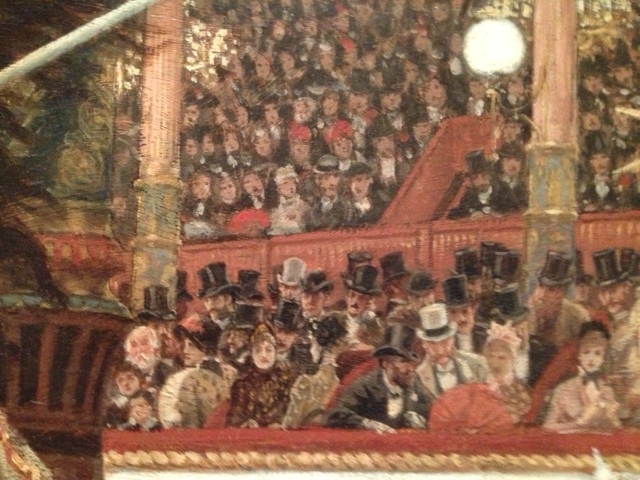 Gassiot bequeathed Too Early to the Guildhall Art Gallery, where it is on view for visitors. 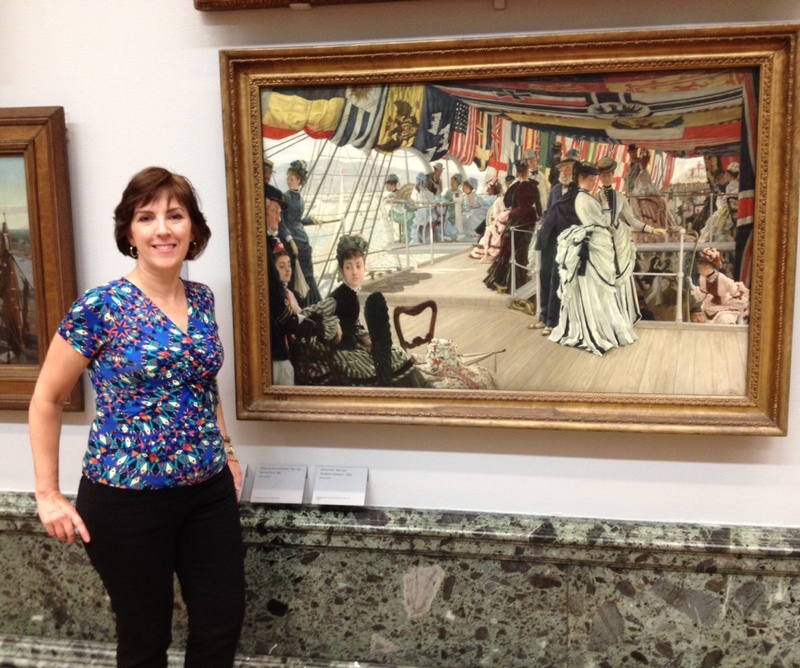 On my recent trip to London, I took these photos for you to enjoy! 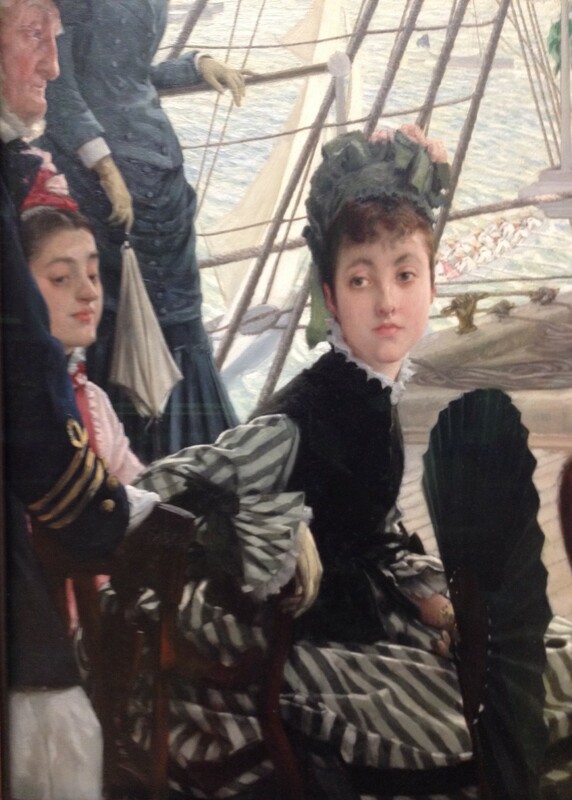 This entry was posted in Art blog, Art History, Impressionists and tagged James Tissot on December 11, 2014 by Lucy Paquette, author of The Hammock: A novel based on the true story of French painter James Tissot. 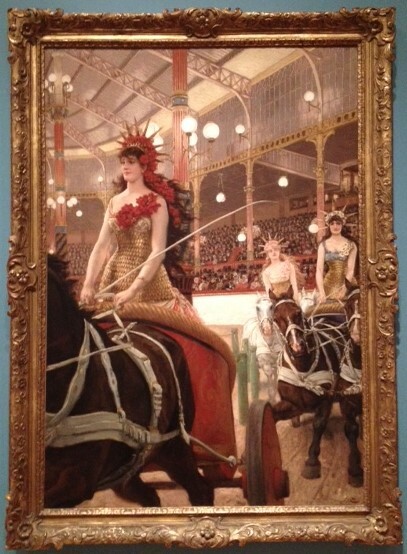 James Tissot’s The Ladies of the Chariots (Ces dames des chars), also called The Circus, was exhibited in Paris in 1885 and in London in 1886. 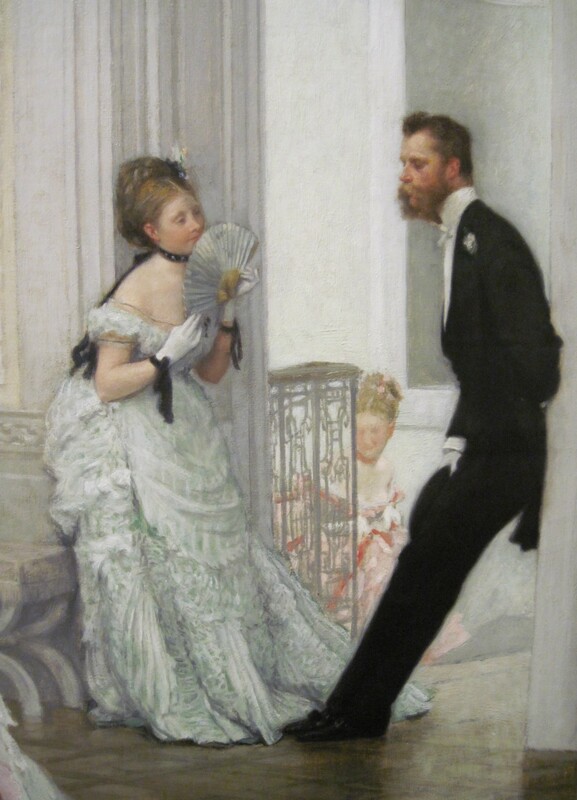 It is the second in his La Femme à Paris series, painted sometime before mid-1884. 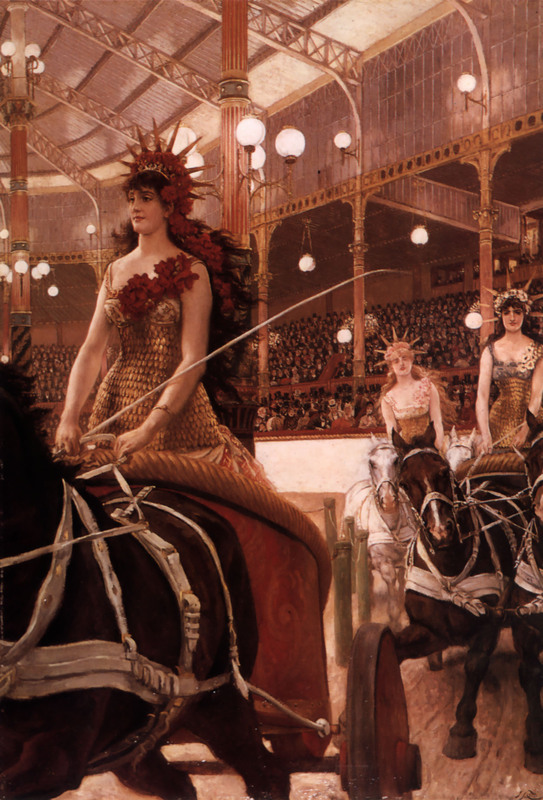 The women are performers at the Hippodrome de l’Alma, a huge iron and glass structure built in 1877 at the corner of avenues Josephine and Alma. 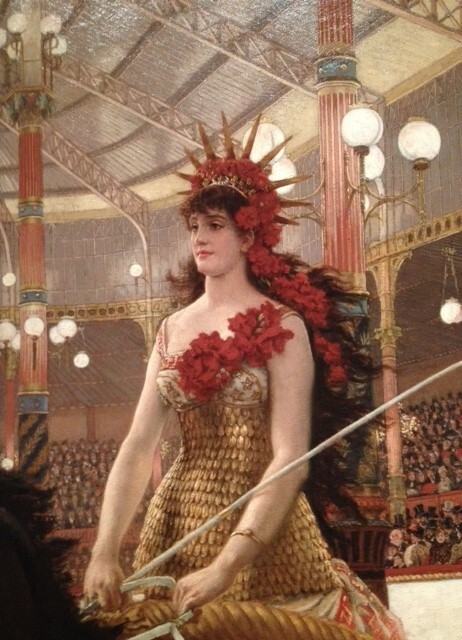 Up to eight thousand spectators could view races around the thirteen-meter track, circus animals whose cages were beneath the ring, and special effects such as mist and fireworks in the grand arena with a sliding roof that could be opened to the sky. 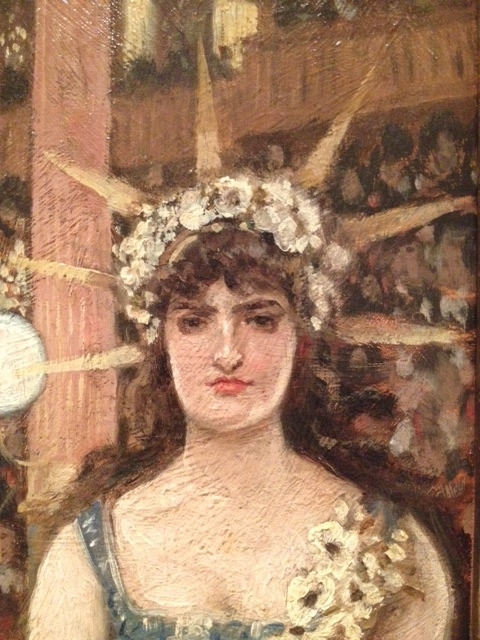 Electric lighting made evening performances possible, such as the chariot race pictured, with charioteers known as Amazons wearing glittering costumes. 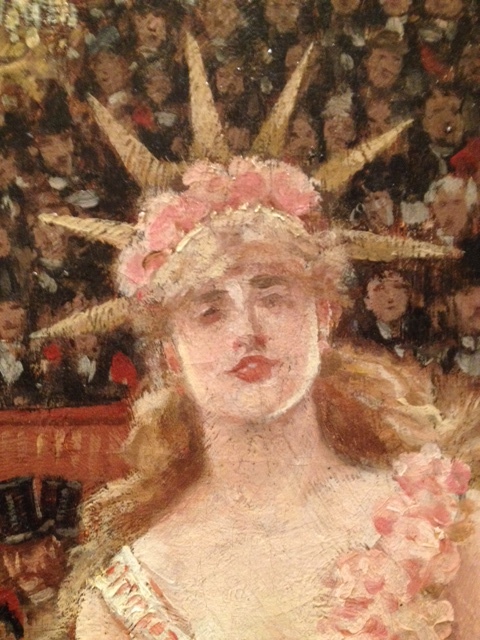 Their diadems are similar to the crown on Frédéric Auguste Bartholdi’s new statue, Liberty Illuminating the World, which was presented to the United States in a ceremony in Paris on July 4, 1884; it soon would be installed in New York Harbor. 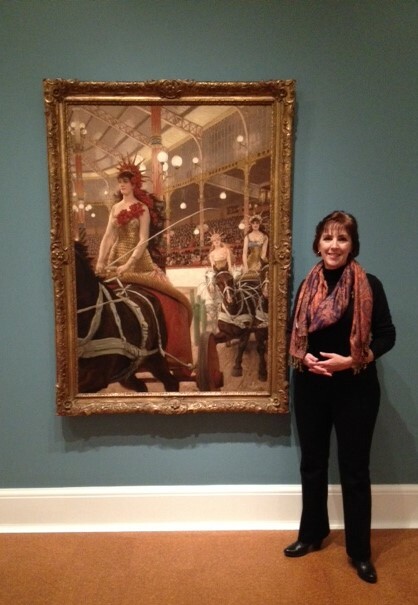 The Ladies of the Chariots was sold by Julius H. Weitzner (1896 – 1986), a leading dealer in Old Master paintings in New York and London, to Walter Lowry, who gifted it to the Rhode Island School of Design (RISD) Museum in Providence, Rhode Island, in 1958. 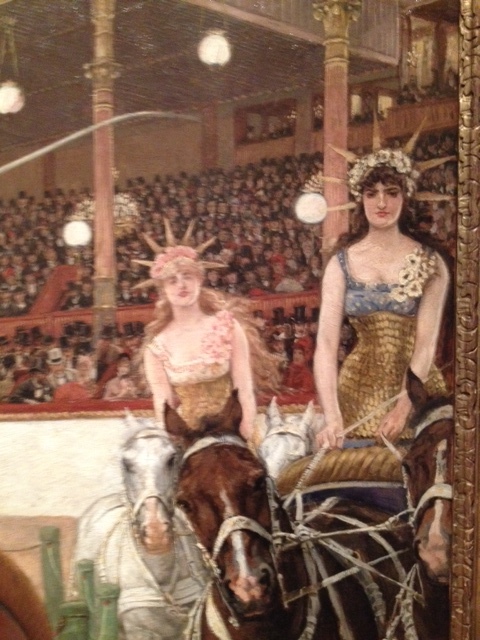 Previously hanging in the RISD museum director’s office and not on public display, The Ladies of the Chariots currently is the centerpiece of “Circus,” an exhibition open through Sunday, February 22, 2015. 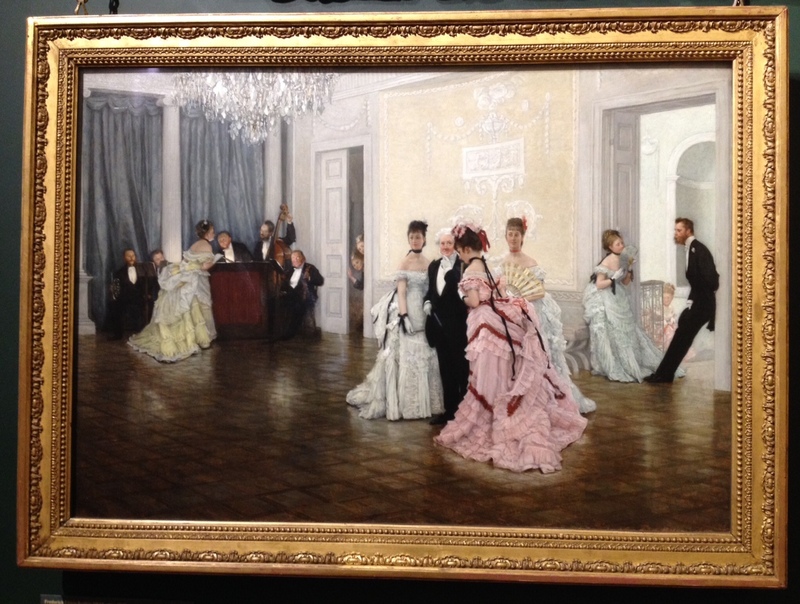 Go if you can, because this painting really is lovely and rarely can be seen. 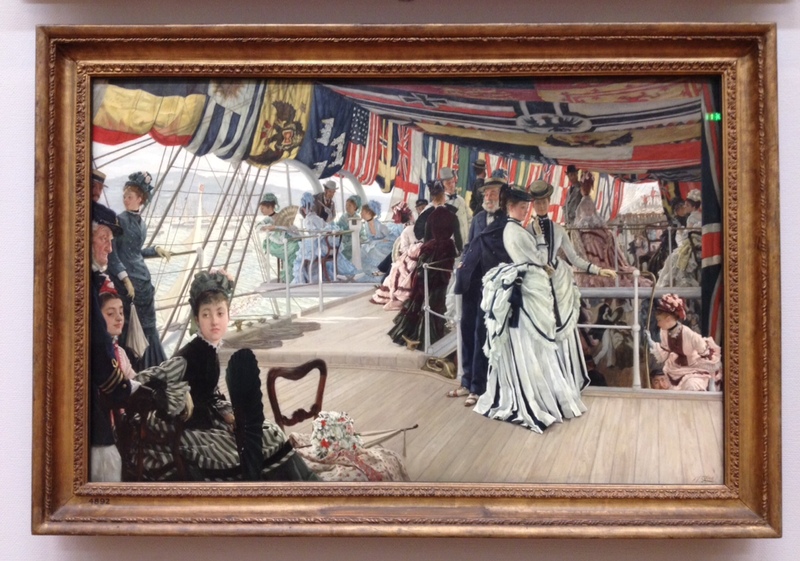 If you can’t make it (or if you can’t brave New England in the dead of winter), enjoy these photos I took on my recent visit! 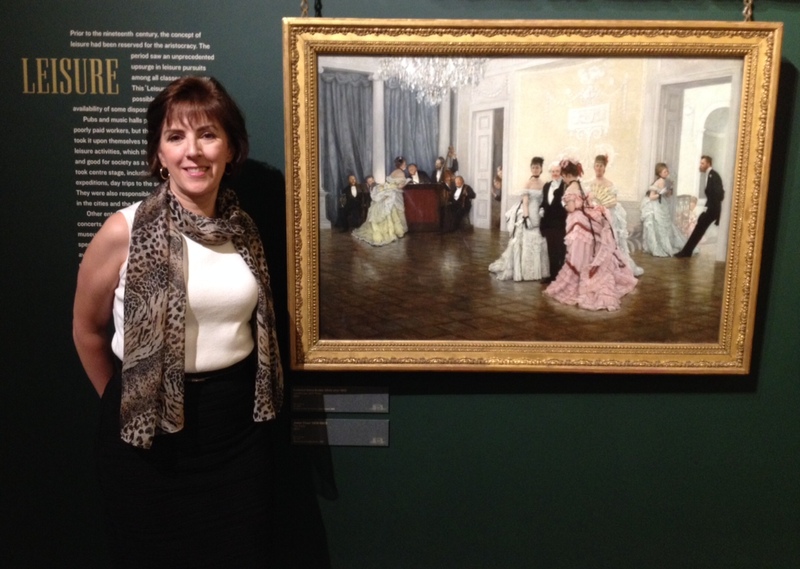 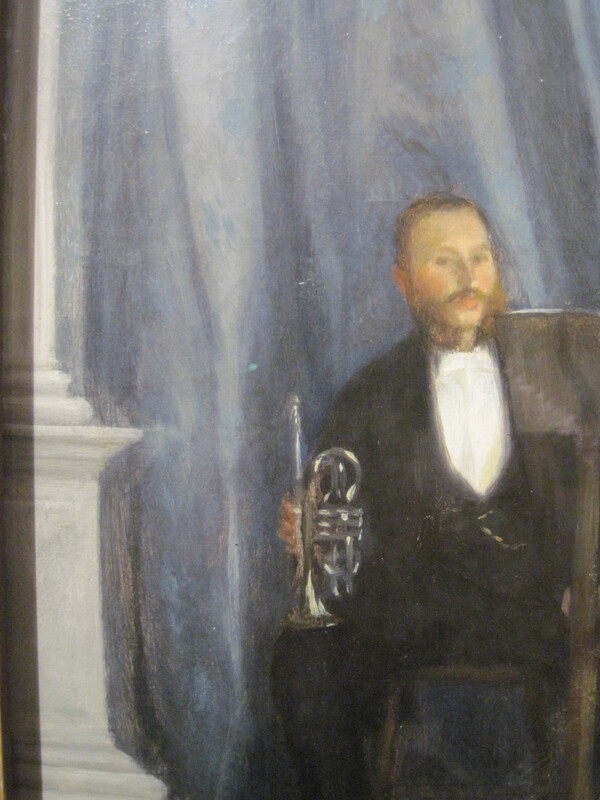 This entry was posted in Art blog, Art History, Impressionists and tagged James Tissot on December 4, 2014 by Lucy Paquette, author of The Hammock: A novel based on the true story of French painter James Tissot.